A cool breeze drifts in from the calm waters of nearby Lake Hodges. Rows of tall, thin cypress trees lead a California house hunter to this alluring San Diego area abode. Tucked in a cul-de-sac that backs to the 16th hole, this Country Club of Rancho Bernardo golf course estate is the MilitaryByOwner Dream Home of the Week! Are you heading to the San Diego area or simply love to window shop homes? Then come along for a tour of this beautiful home! Listed at $799,500, this slice of Golden State paradise is an easy 15-mile commute South to Miramar MCAS or a pleasing 30-mile trip North to the main gate of Camp Pendleton. 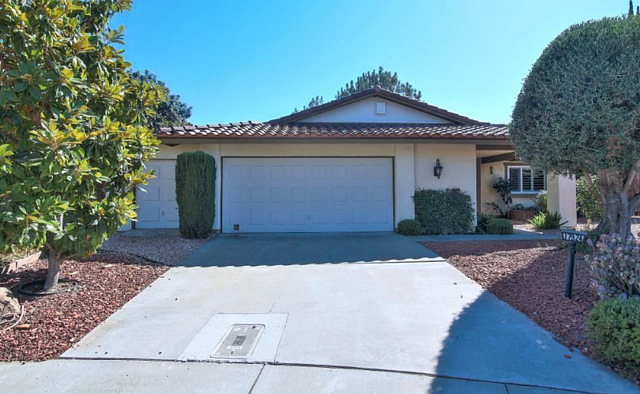 Zoned for the highly acclaimed Poway Unified School District, this 3+ bedroom, 2 bath single story gem may be a good fit for an active military family. Pass through the elegant double door entry into a hearth room, which leads to an oversized eat-in kitchen. 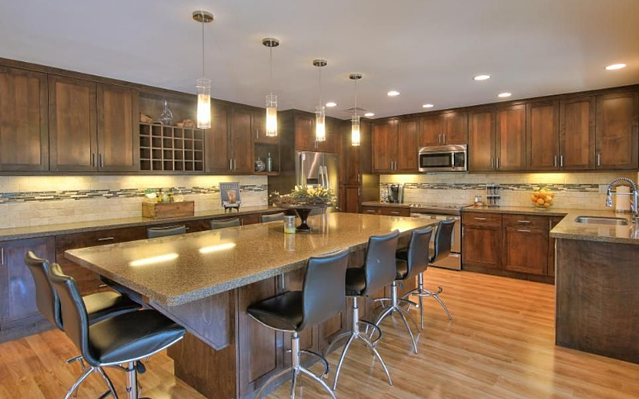 A mix of modern lighting, luxurious cabinetry, sleek stainless appliances, designer backsplash, and gorgeous granite counters may make this heart of the home a favorite place to be! Gather with extended family or host the whole team around the enormous dining island with seating for fifteen. From the adjoining sunroom, gaze upon the sumptuous fenced backyard pool, sunken spa, and surrounding golf course. Abundant energy-efficient windows and skylights fill this 2500 square foot home with cheery natural light. 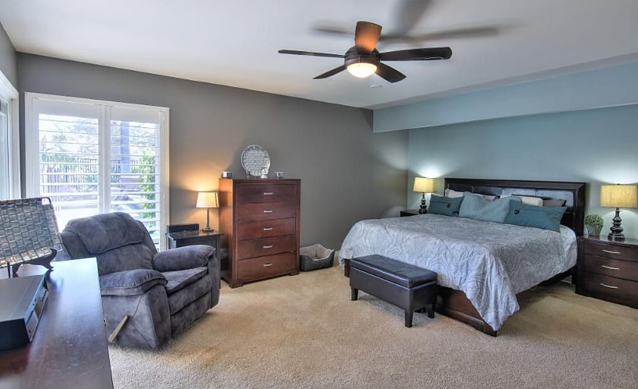 The posh master bedroom boasts giant walk-in closets, a spacious bath and a bonus room, perhaps for an en suite nursery or home office. The attached garage offers parking, generous storage, and even a golf cart bay. Rows of solar panels installed on the new tile roof ease utility costs. A budget-friendly monthly HOA fee includes membership to the nearby tennis and swim resort. From your choice of outdoor living patio spaces, perhaps you’d like to catch a refreshing breeze under a palm tree? Or observe local golfers as they attempt to find their "authentic swing"? Or savor a sunset framed by the nearby mountain range? 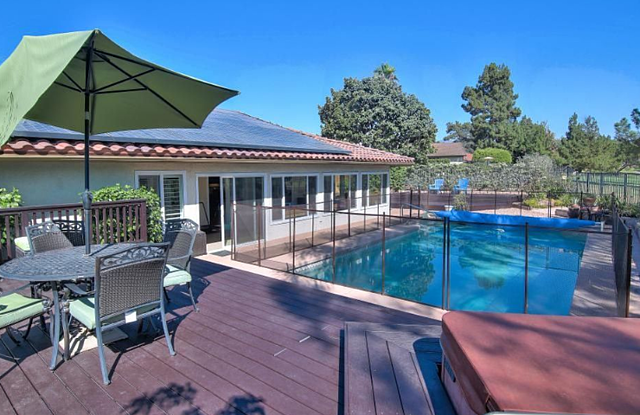 No matter how you may choose to unwind, this remarkable MilitaryByOwner listing may be your California dream come true. Curious about golf course living? As outlined in a helpful MilitaryByOwner blog post, golf course homes are not reserved for golf enthusiasts alone. Many families prefer to live in a golf course community for the quality of life it can provide. As this listing attests, most golf courses are located in a premium neighborhood. Often gated or well kept and comfortably safe, a golf course locale may offer exceptional amenities for both adults and children. As with this Country Club of Rancho Bernardo property, the nearby resort has a stunning clubhouse available for dining, drinks, and events. Additionally, immaculate tennis courts, a sparkling pool, and a variety of golf practice facilities are present. Living near a golf course can give a military family the opportunity to enjoy a sense of luxury while fully embracing their current assignment. If on the hunt for a Southern California luxury home, delight in the warm and welcoming sunshine of "America's Finest City" with a San Diego golf course estate such as this. *Update: While this home is no longer listed, use MilitaryByOwner's easy search features to find similar homes in the area! Want to help other military families moving to a new area? 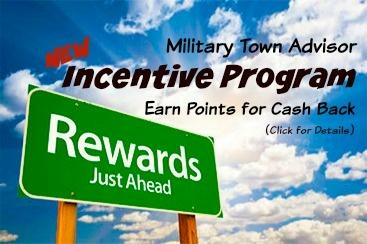 Leave a neighborhood review on Military Town Advisor and earn rewards! Click below to find out more.